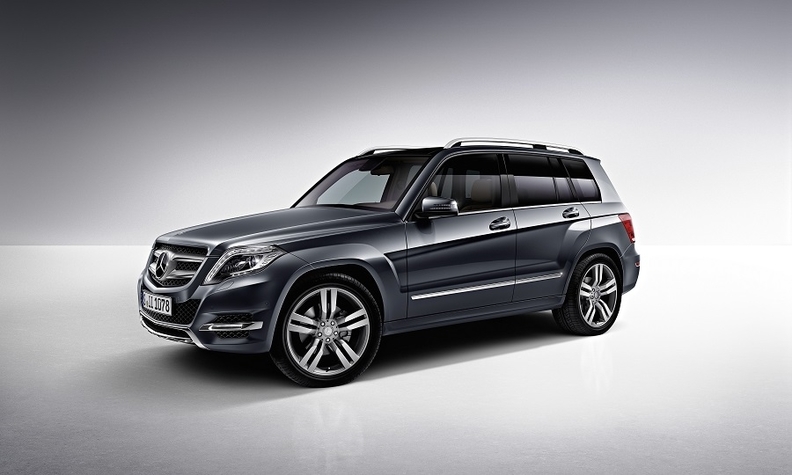 German authorities are investigating "suspicious" software in Mercedes GLK diesels produced between 2012 and 2015, a report said. BERLIN -- Germany's KBA motor vehicle authority is investigating Daimler on suspicion that 60,000 Mercedes-Benz GLK SUVs were fitted with software aimed at tricking emissions tests, a newspaper said. The KBA is looking into "suspicious" software in GLK 220 CDI cars produced between 2012 and 2015 after tests showed they only meet emissions limits when a certain function is activated, the Bild am Sonntag newspaper reported on Sunday. The function was later removed during software updates carried out by Daimler, the paper said. A spokesman for Daimler, owner of Mercedes, said the automaker is reviewing the facts and is cooperating fully with the KBA. The spokesman said the company had complied with a process agreed upon with the KBA and German Transport Ministry when it was asked in 2017 to recall 3 million vehicles to update software to reduce their NOx emissions. Since Volkswagen Group admitted in 2015 to cheating U.S. emissions tests, the scandal has spread to other automakers. Daimler has ordered the recall of 3 million vehicles to fix excess emissions coming from their diesel engines. This month European Union antitrust regulators charged BMW , Daimler and Volkswagen with colluding to block the rollout of emissions-cleaning technology.